After some long goodbyes, we left Okazaki City bound for Tokyo via Shizuoka. After a brief break at beautiful Hamanako (a tidal lagoon, famous for the quality of it’s eels) we arrived at Mount Fuji to see the usual summer view of Mount Fuji – ie, a mountain entirely invisible due to cloud. 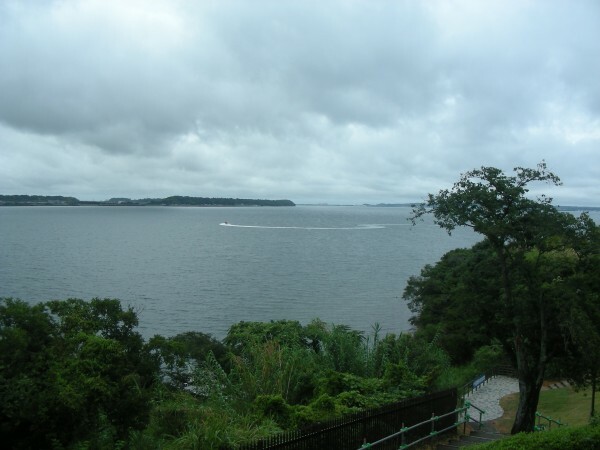 A quick meeting, and it was decided that instead of the long climb up into a cloud to look at the inside of a cloud, we would head to the Miura Peninsula and Kamakura. 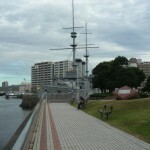 At Yokosuka the main attraction was the Battleship Mikasa, a museum ship, and the only remaining pre-dreadnought era battleship in the world. 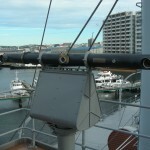 Tis museum ship is historically on about the same level as the HMS Victory or USS Constitution. It is a great museum. As with most Japanese warships of the time, it was built in England by Vickers at Barrow-in-Furness (1899-1902). Mikasa was the flagship of the newly modernized Japanese fleet that defeated the Russian navy (both the Pacific and Baltic fleets) during the 20 month long Russo-Japanese war of 1904-05. It was a war that changed our world. 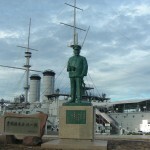 Admiral Togo and the Mikasa. 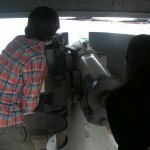 You could actually raise, lower and traverse this 19th century breechloader. Mikasa viewed from the adjacent park. 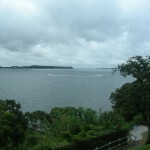 Great views across Yokosuka bay. At Kamakura, the Daibutsu and then the beach. Part of Kōtoku-in (高徳院? 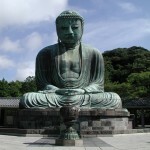 ), a Jōdo-shū sect temple, the enormous bronze statue of Amida is considered a Japanese icon. It was not originally intended to be outdoors, but after two fires and a tsunami, the graceful but gigantic statue has bathed in the sun. 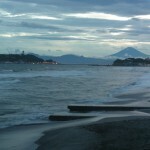 Enoshima (island), Mt Fuji, and Shonan beaches. We then transferred to our Tokyo accommodations.